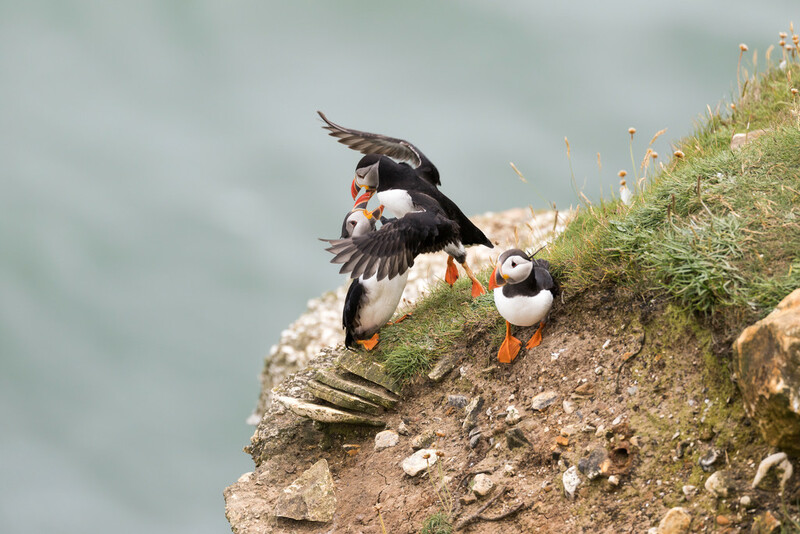 I adore puffins, so comical, even when having a fight! So envious you've gotten to see them! My favourite British bird and what a terrific capture. Didn't see this yesterday. Can't wait for this weekend. Lovely shot.